Prefabricated metal fireplaces, which are inexpensive and easy to install, have made it possible for homeowners to have several fireplaces throughout the house. Fireplaces are often the focal point of a room, and the surround material can add luxury to the decor. 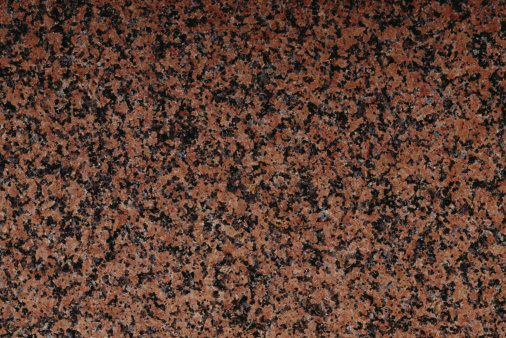 Granite is one material that shows others that the house is made of quality materials. If you install granite around a fireplace, there are a few steps you have to follow. Take the measurements for the fireplace to find out how much granite you'll need. You also need the measurements for purchasing the thinset and other materials. Decide the design you want and whether you'll add a mantel if you don't already have one. Before you purchase the items, you also have to evaluate the surface you cover. If part of the surface is metal, part plaster, drywall or stone, you need to use a stress crack membrane to bridge the gap between the two. The two surfaces have unequal thermal expansion, and it causes cracking and loosens the granite. Prepare the area for the granite. Check the entire area to make sure surfaces are level. Mix a batch of thinset. If you're installing tiling over masonry, then you need to check for any uneven areas and fill them in with a skim coat of thinset on the masonry first. You should skim-coat all masonry surfaces, such as brick block or stone. Put the stress membrane over wood areas, particularly where it meets other materials. If your masonry is in disrepair, apply a layer of stress membrane. Use the elastomeric caulk made by the manufacturer of the membrane when applying it to the firebox. Don't use the membrane over any areas that get hot, such as the metal fireplace facing. Use it only in areas that receive less than 250-degree F heat. Allow this to dry. Install the hearth. Put a layer of thinset over the area for the hearthstone. If it's a wood base, lay the stress membrane over it and allow it to dry. Then, apply a second coat of thinset as the stone's adhesive. Lift the granite hearth into place. You'll need a strong helper to do this. Slide it into place and gently tap it with a rubber mallet to release air bubbles and ensure contact. Proceed with the other tiles. If you're setting individual tiles of granite on the wall, you'll need to build a ledger shelf and get spacers to hold the tiles in place until they dry, particularly right above the fireplace. If you're putting granite to the ceiling, you'll need to start at the top. This also requires a ledger shelf. You don't want an odd-sized tile that visible. Save those tiles for floor level. The ledger shelf is a piece of wood that creates a shelf for the tile to sit until it dries in place. You'll need to put legs on the one in front of the fireplace to keep it erect. Space out the granite squares. If you're just putting a single-stone slab at the side of the fireplace and above it, then your job is easy. Put thinset on the area and the bottom of the stone. Put the side slabs up and then brace it with wood that extends out to the floor. Put the slab at the top of the two sides and brace it also. For the tile squares of granite, start the distance of two squares and seams from the top. Put in a ledger board and use spacers between the granite tiles. Allow the granite to dry overnight. Seal the granite with a stone sealer and allow it to dry. Grout the granite tiles. The final step to install granite around a fireplace is to clean up. Wipe the grout off the granite with a dry cloth first and then use a damp cloth. Continue until the granite is clean. Seal the area with a sealer. Jay P. Whickson worked as an insurance rep, financial planner and stockbroker from 1979 until her retirement in 2007 when she began writing about the field of finance. Whickson has both a Bachelor of Science and a Master of Science in education from Indiana University. She also has post Masters courses in science and a number of different insurance and investment designations and degrees.